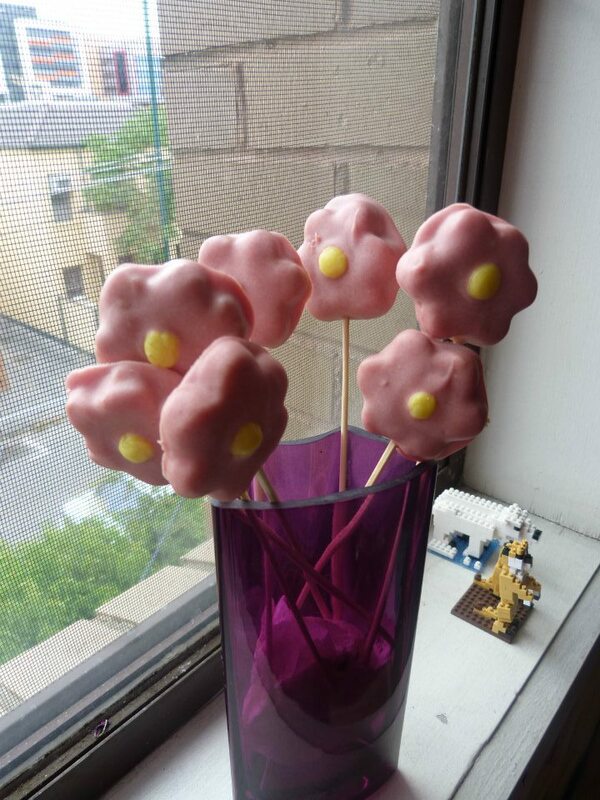 These are coffee, white chocolate cakepops using the amazing (yes I think I’m addicted to these!) recipe of Bubble & Sweet. I used a cookie cutter for the shape and white chocolate for the coating. When I was in Spain last Christmas I really wanted to make these but no White Chocolate Tim Tams there! I substituted it for normal Maria cookies and white chocolate and they came out quite well. Just crush the cookies and add melted chocolate until it creates a compact dough then add the cream cheese).